Great night at the Vine last Friday as we hosted our sponsors, Savills, in a 16 over thrash. There was a great atmosphere with large crowd of at least a couple of hundred enjoying the beer festival and curry. Richard Smith won the toss and put us in. Stuart Seldon and Paul Nash opened for us, Seldon seemed to lack his normal fluency but held up one end well, eventually retiring for 27. After 13 overs we were 96 for 2, a bit behind par, with BT (22) Sykes (28no) and Atkins (22) all contributing, but there was a late burst, initially from Atkins and Sykes, followed by Compton and McMenemy who managed to put on another 20 off the last 8 balls (Mcmenemy 18, Compton 2). We finished with 148, which looked a good score. Savills batted pretty steadily, but there was some economical bowling from first Bonze and Sykesy, followed by Burden and Atkins. The first wicket fell in the 8th over with the score on 53, followed by an outstanding run out from Sykes, playing for the crowd. Apart from that and an outstanding diving catch from Jones, the fielding was fairly poor. I missed an easy run out and Seldon and Nash both dropped fairly straightforward catches. There was one exception though, a fantastic catch from Rumbelow at mid on which I believe Smithy may have caught on film! Old Oaks won, by 10 runs or so, Rumbers successfully defending 30 off the last over. It was all played in good spirit and a few of the festivals beers were sampled later on in front of the Brazil game. 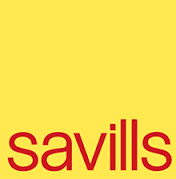 A big thanks to Savills for all their support of the club.